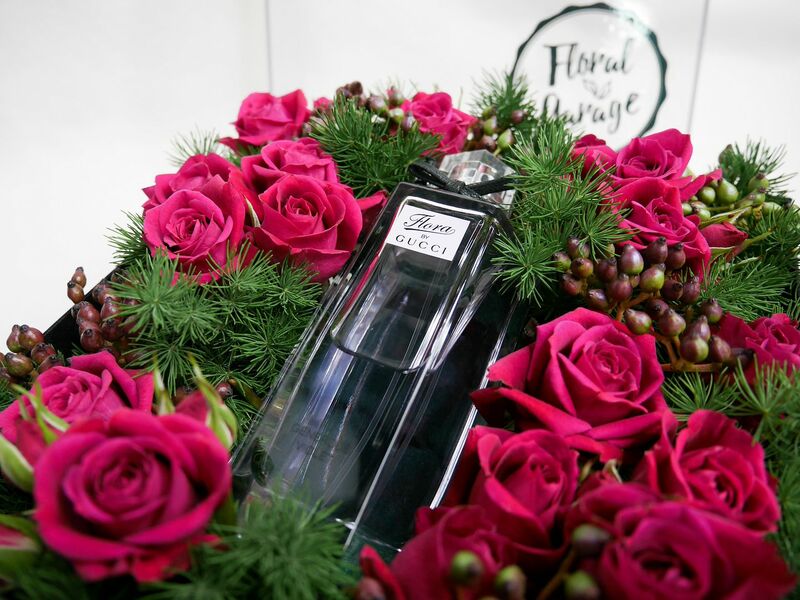 Perfumes and flowers, don't we all agree that these two are most ladies' favorites? 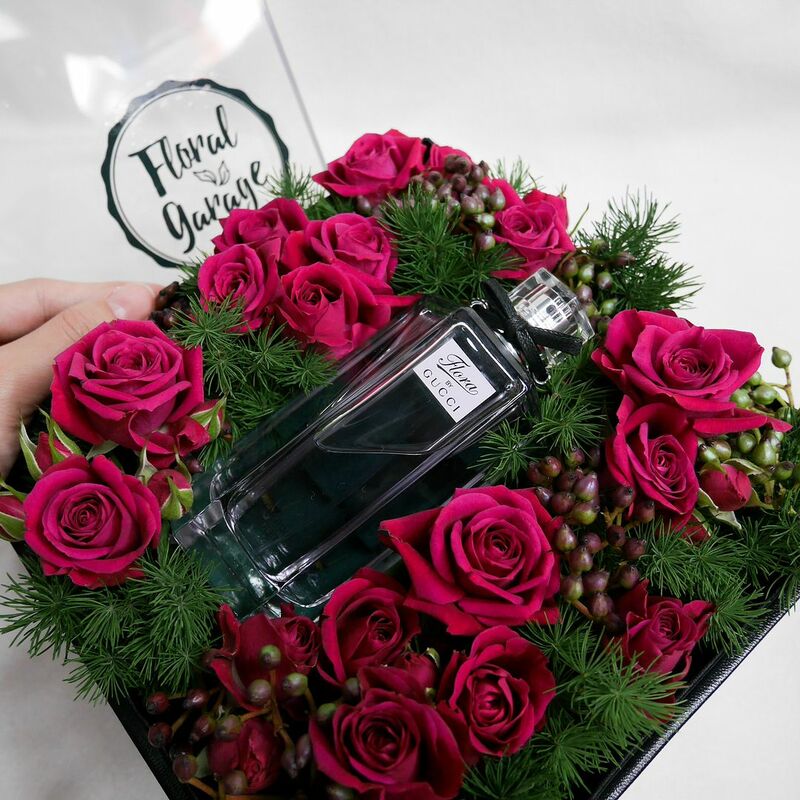 Well, majority of the girls probably have a soft heart for these two, and I can't be more than happy to receive this perfect floral gift from Floral Garage Singapore. I love the transparent box. I foresee myself doubling up this box for storage purposes. 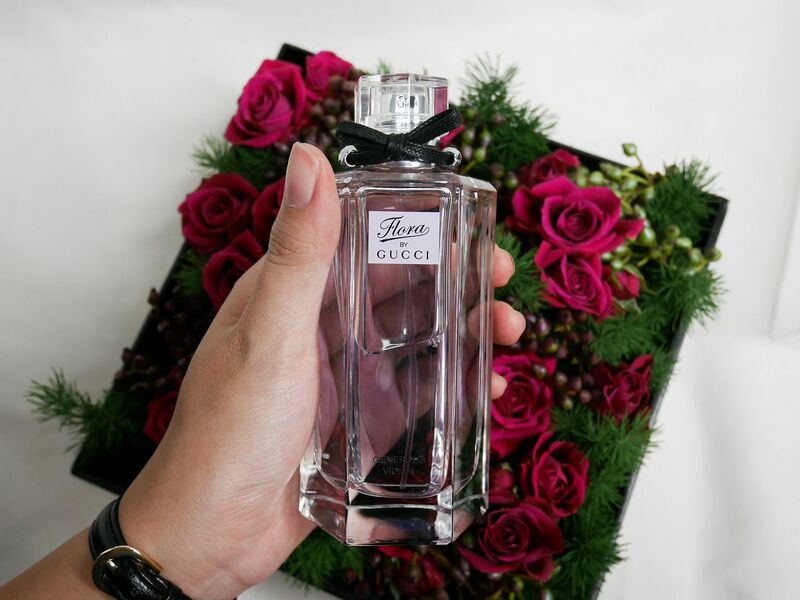 My favourite Gucci Flora scent. 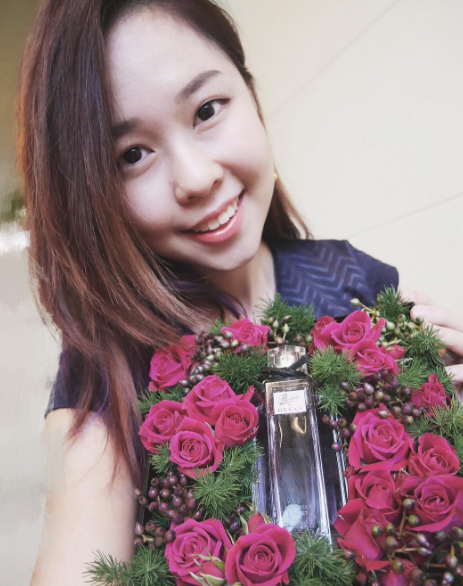 We see quite a few local florists sprouting in the Singapore floral market. What we want is something unique that it leaves an impression. 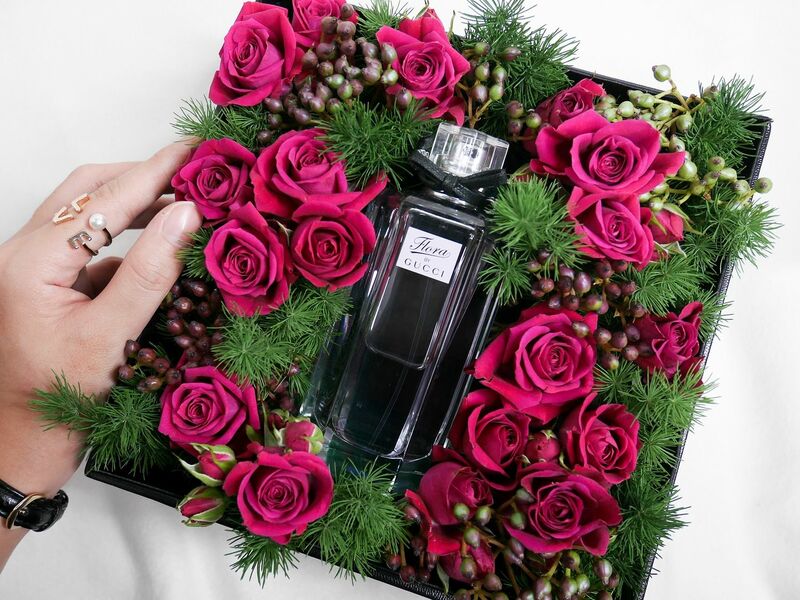 While flowers do not last, I am pretty sure the fragrance that comes in this floral box surely lasts! 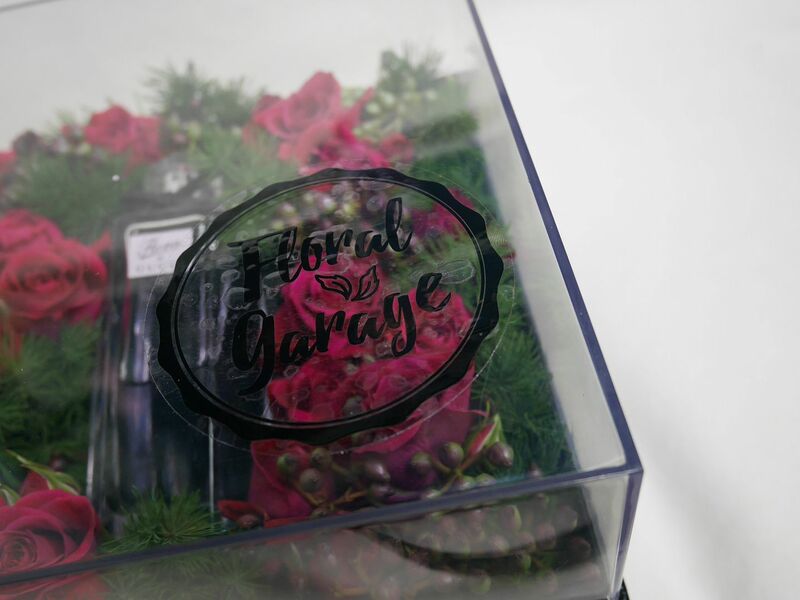 For more about this floral box, you can hop over to Floral Garage Singapore for more! They also have quite a few hampers and floral gift sets for you to choose. How can we not love the little fushia roses? 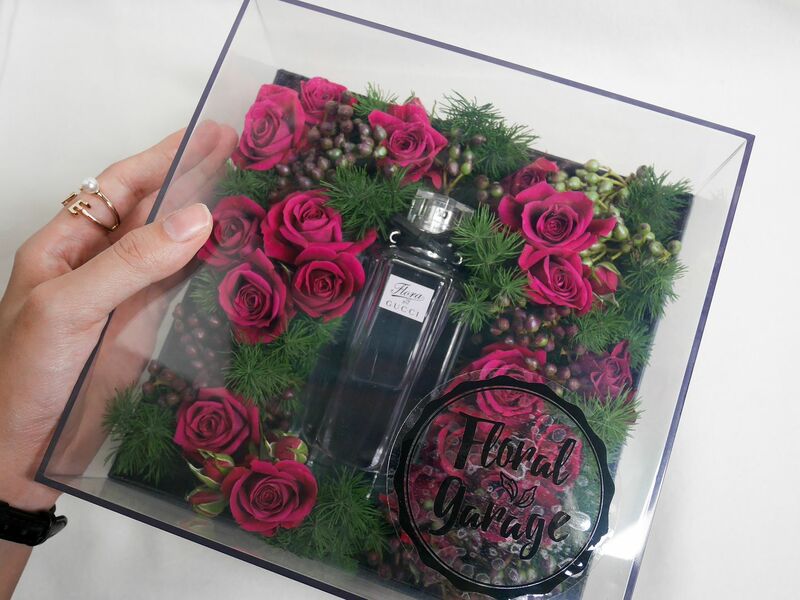 The floral box comes with other designs as well, do enquire with floral Garage if you would like to customise your own floral box.